Every season the Alexander McQueen show is, without fail, one of the most incredible collections to show during Paris Fashion Week. Sarah Burton is a master at the elegant, edgy and sometimes eerie aesthetic, and the brand has plenty of famous fans (including the Duchess of Cambridge). 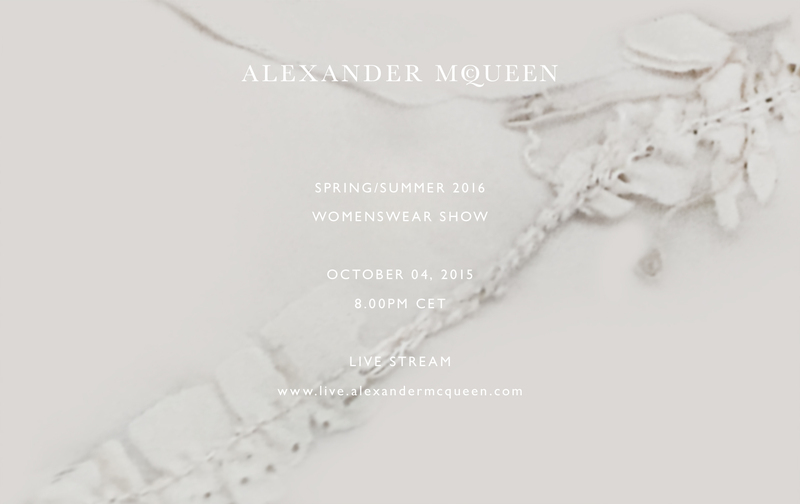 While you might not be able to score a ticket and fly to Paris to see the McQueen show first hand, we're live streaming it right here. So sit back and enjoy your front row seat -- events start at 1:30pm EST, and the show officially begins at 3pm EST!